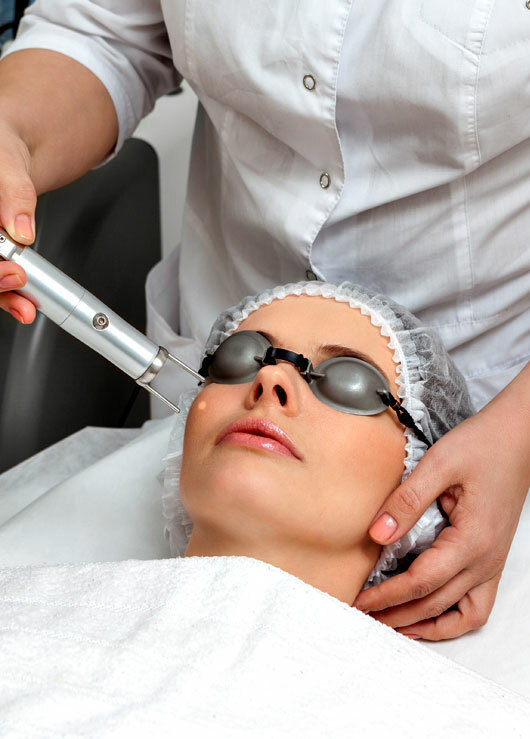 A concentrated beam of light is fired at the skin using the Pulsed Dye Laser. This light targets blood vessels in the skin converting the light into heat, destroying the blood vessel while leaving the surrounding skin undamaged. Pulsed Dye Laser treatments are not painful, more uncomfortable and are considered office procedures where downtime is at a minimum. Most people can return to work immediately following a treatment. Post treatment, your skin will show more redness than normal but this redness fades quickly. Treatments for Age / Sun spots, telangiectasia, spider naevi are normally carried out at a higher setting and this can result in localised bruising. Results are best following a course of 6 sessions Pulsed Dye Laser. Most people notice improvements following the first treatment getting better as the sessions continue.